Exercise during pregnancy is an essential part of good health. The better shape you are in, the more likely you are to have an easier recovery post childbirth. Fitness during pregnancy will likely also help you have an easier birth and delivery. Although it is important to exercise during pregnancy, it is not the time to push your limits or start any new intense sports. Your goal should be to maintain your current fitness levels, and to gradually build mobility and strength through consistent and careful exercise. Make sure you are well hydrated and do not overheat. Drink plenty, as lack of water will cause dehydration or dizziness. Make sure you have had a good meal before your working out so that your blood sugar does not get low. Keep consistent breathing during exercise and do not hold your breath. This will ensure you do not increase the pressure in your abdomen which will help ensure your baby gets plenty of oxygen during your workout. Do not overstretch. During pregnancy your body produces hormones that can increase your flexibility, especially in the pelvis in preparation for delivery. Over-stretching may result in injury. Modify your positions to make them safer for your growing pregnant body. It is very important to tell your instructor that you are pregnant, they can then appropriately modify the exercises safely for you. Post-natal exercise is also very important but you must give your body time to recover. From early days post-delivery, you can commence thinking about your pelvic floor and increasing your awareness of using those muscles again. You can start bracing your abdominal muscles in the weeks after birth. You may commence light walking that is tolerable. If you have not had any complications then you should be able to commence low impact exercise like swimming and light core strengthening after your 6-week post-natal check with your doctor. High impact exercise should not be started until at least 4 months post-delivery, but for some women it can be much later than that. Each woman is different and must pay attention to her recovering body. Recently I had the pleasure of attending Barre classes at Xtend Barre in Coogee. Chloe Dallimore and her team were professional, welcoming and extremely friendly. Barre classes are a safe and efficient way to stay in shape before, during and after your pregnancy. Xtend Barre workouts are moderate to high intensity, but a low-impact form of exercise. You do not need a dancer’s coordination to do an Xtend Barre class, however previous dance experience can be helpful. 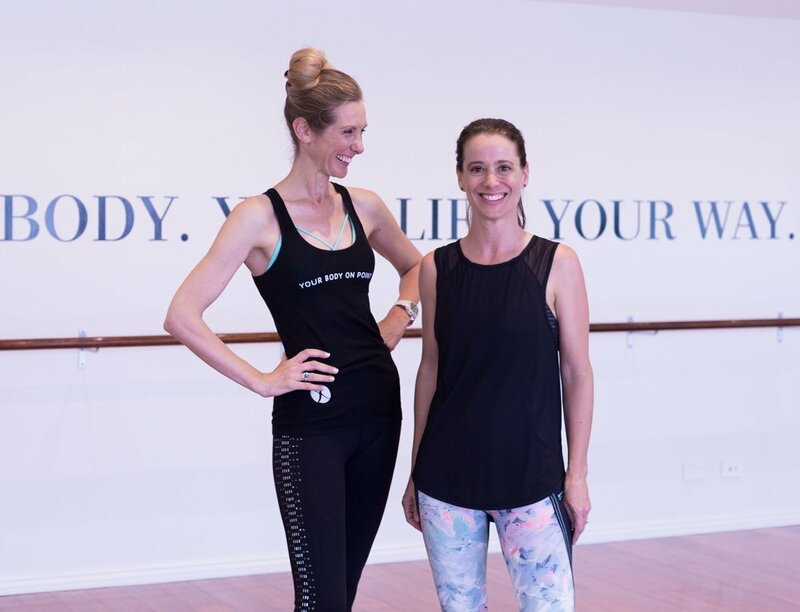 “I saw a gap in the market with people wanting to work precisely, so they wanted to work safely but in a challenging way - with more of a cardiovascular challenge” – Chloe Dallimore, Xtend Barre, Coogee. A standard class involves balance, strength and stretching exercises - with light weights, small inflated balls, straps, and mats. The basic exercises in an Xtend Barre class are small movements that are repetitive in nature and easy to follow. In addition, the classes really get your heart rate up and you get a great cardiovascular workout. If you are looking for a great workout pre and post pregnancy, find a studio near you here.